Templates is the perfect tool to schedule your regular, recurring customers. Templates can be automatically approved based on your billing frequency. 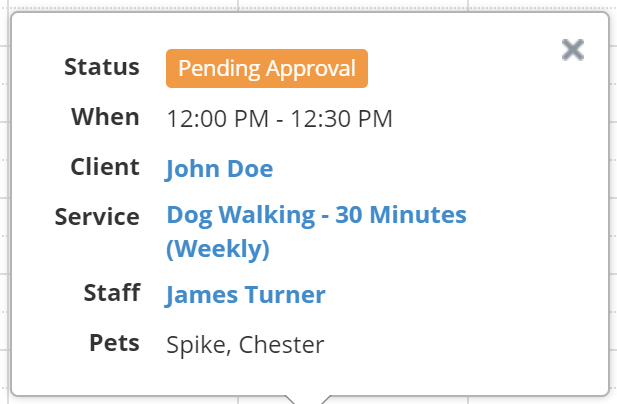 This means all scheduling and invoicing for your regulars can be fully automated! Templates are great for your regular, recurring customers. Templates have no end date and are continuous until you specifically end the template. Have a new puppy that just signed up for dog walking? You can create one template that will last as long as you continue to provide services for that client! Even though your regulars have no end date - that doesn’t mean you never bill them. Templates support a billing frequency which automatically generates invoices based on your setting. Bill your regulars weekly? Then create a weekly template! 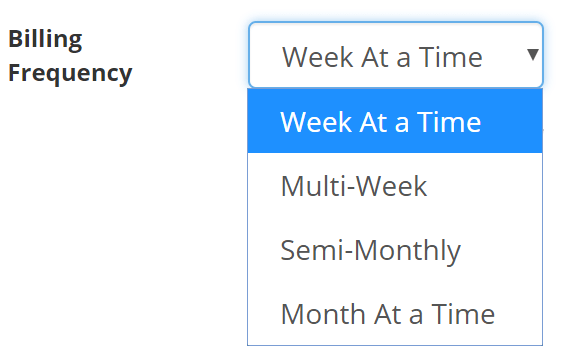 Or how about monthly? Not a problem! Templates support four unique billing frequency settings. One of the most powerful features of Time To Pet is our automation. This is most apparent in templates. 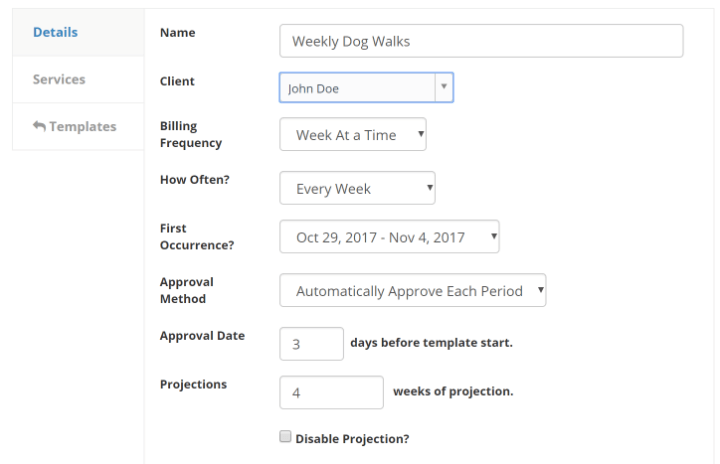 You can set the approval method of your templates to be automatic which means each template will be automatically approved (and the invoice automatically generated) a set number of days prior to the start of that billing period! While visits in a template are not actually scheduled until the template has been approved - it is still important to see those future visits on your calendar. That is exactly what projections do! You can view future, not yet scheduled events all the way up to 12 months in advance. Projections are on a rolling basis so when you approve a new version of the template - a new set of projections are added as well!